Texas may not be known as one of the most welcoming states to LGBT people, but like many places, you shouldn’t assume that every part of Texas is like that. The state actually has a number of great places to live. Many of the larger cities in Texas are very progressive, and you’re sure to find a place where you fit in if you do a little research. If you ask any gay or lesbian real estate agent about homes in these areas, you may be surprised at what you find. 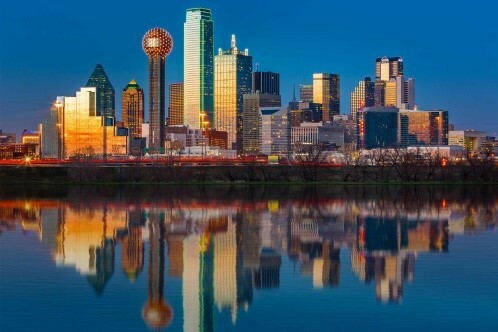 As one of the largest cities in the country, Dallas is home to an incredibly diverse population. In fact, the Oaklawn neighborhood was actually named the top gay district in the U.S. in 2014. 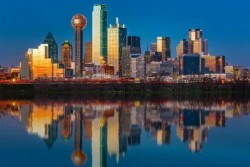 Dallas is home to the largest LGBT population in the state, too. You’ll find the Cathedral of Hope, which has a huge LGBT congregation, here. If living in Dallas is a bit too much for you, there are plenty of welcoming suburbs, including Grapevine and Irving. The capital of the state, Austin is another large city that has a good-sized LGBT population. Austin Pride Week is one of the largest pride festivals in the state. Austin is also home to a number of LGBT theater groups and writers. In fact, the city is considered to be Texas’s cultural and literature center. The most populous city in the state, Houston is home to over two million people. It features many different colleges and artistic endeavors, making it a very attractive option for those looking to continue their education. The city has a growing LGBT community, too, with many gay bars, LGBT-owned businesses, and more. The My Gay Houston website serves to keep everyone informed about upcoming events and connect with others in the community. The second-largest city in the state, San Antonio has around 1.5 million residents. It’s another very friendly and welcoming city, and many people travel to San Antonio every year for its huge week-long pride celebration. LGBT youth can participate in a scholarship program, too. The city’s river walk is a great place to hang out and enjoy live music and other types of entertainment. Outside of these four cities, you can also consider locations such as Denton, Marfa, and San Marcos. They’re all welcoming places in the state. Texas is so large, there’s a place for everyone, so take your time and look at your options. If you’re a member of the LGBT community, Cape Coral, Florida, may not be one of the places you’re thinking about moving to. That’s because Florida has a lot of great towns and cities that are LGBT-friendly and more high-profile than Cape Coral. Here are a few of the reasons why LGBT individuals and families might want to think about moving to this Florida location. Cape Coral is a good-sized city that has been growing quite quickly. In 2010, the population was over 150,000. By 2015, it was nearing 200,000. If Miami or Tampa seems too large, but you don’t want to move outside of a metro area, Cape Coral may be right for you. It’s the main city of the Cape Coral-Fort Meyers Metro area, which is home to nearly 800,000 people. You’ll find all of the benefits of a large city here, but you may not feel quite as crowded, especially if you live in the suburbs. Cape Coral is nicknamed the “Waterfront Wonderland” because it has more than 400 miles of waterways you can actually navigate a boat through. Most people think of Venice, Italy, when they think of a city with canals, but Cape Coral actually has more canals than Venice and every other city in the world. It’s gorgeous and unique. Some canals even extend into the Gulf of Mexico. There are a number of beaches nearby, too. Another great drawn to Cape Coral is its climate. The city has an average of 355 days of sunshine every year. In the summer, it’s quite warm and humid, but the winters are fairly dry and never get too cold. On average, temperatures get down into the 50s in December and January. If you hate the cold and don’t mind a little humidity, Cape Coral may be perfect for you. While Cape Coral may be a little slow in passing LGBT protections, it is catching up. In January of 2017, the city council unanimously passed an ordinance that added sexual orientation, gender expression, and gender identity to its protected classes for city employment. This actually puts Cape Coral ahead of the federal government, which has not yet passed such protections. If you’re curious about moving to Cape Coral, you can contact a local gay or lesbian real estate agent to learn more about the market and about what live in the city is like.